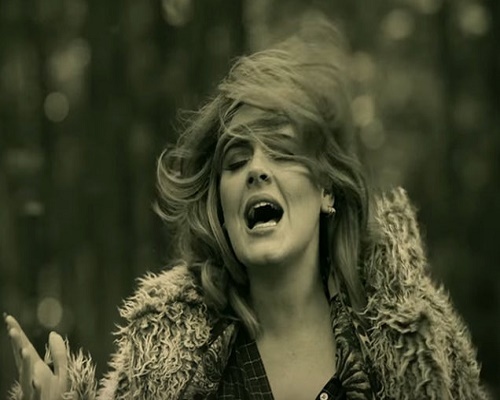 Adele has broken another record-her video for “Hello” is the quickest to reach one billion views on YouTube. “Hello,” a ballad that ended a four-year album hiatus for the British singer, entered the exclusive one billion-view club late Monday just 88 days after its release. It easily broke the speed record set by South Korean pop singer Psy’s “Gangnam Style,” whose viral equestrian-themed dance video hit one billion views in 2012 after 160 days. But “Hello” still has far to go to catch up to “Gangnam Style” in total views. Only 18 videos have hit one billion views on Google-owned YouTube. All are professional music videos except two-an episode of Russian animation “Masha and the Bear” and a nursery rhyme compilation by British educators’ channel Little Baby Bum.